One of the most beautiful and spacious 3-bedroom, 2-bath homes in Prince Creek! In addition to maintenance-free living, this one level, open floor plan features spacious extended rooms, soaring ceilings, neutral palate and relaxed living space. 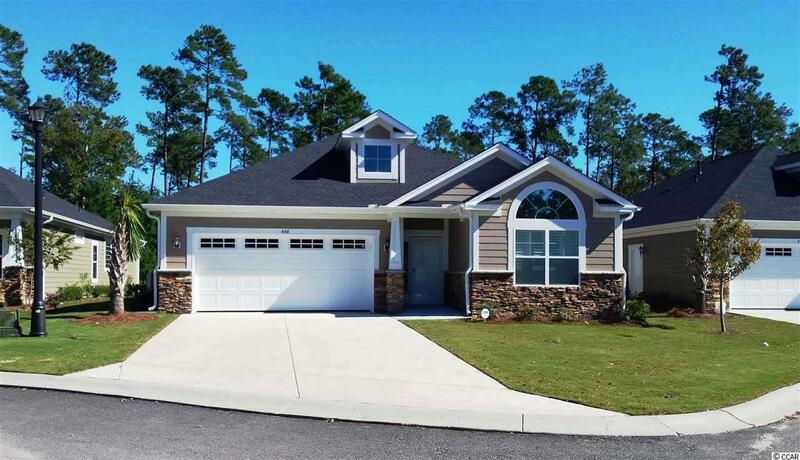 This popular 'Pawleys' Floor Plan with added Carolina Room and formal dining room also has well-appointed finishes such as hardwood flooring system, ceramic tile, granite countertops and state-of-the-art stainless appliances. Conveniently located to major roads, shopping, hospitals and medical offices...plus a short drive to Huntington Beach State Park, area restaurants and local attractions. Listing provided courtesy of Dargan Real Estate. Listing information © 2019 Coastal Carolinas Association of REALTORS® MLS. Listing provided courtesy of Dargan Real Estate.